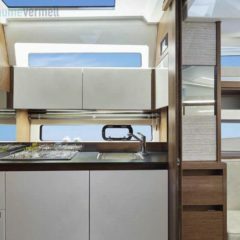 Galley: Kitchenware, coffee pot, galley not available for cooking. 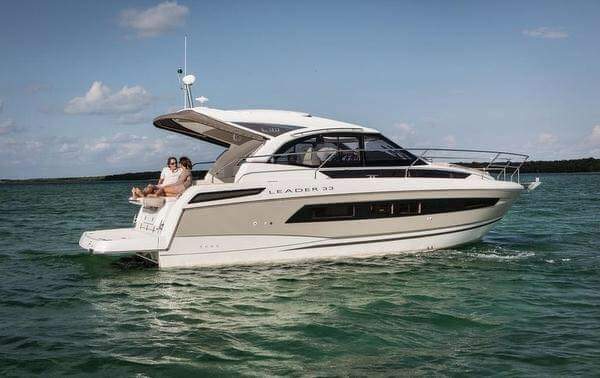 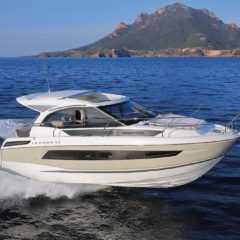 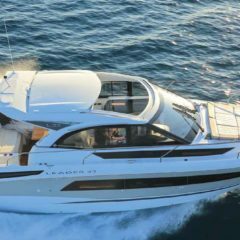 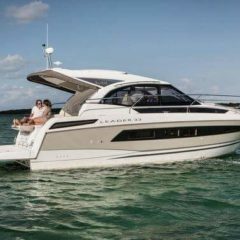 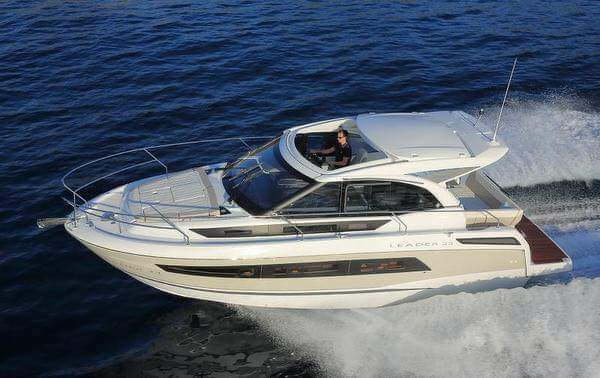 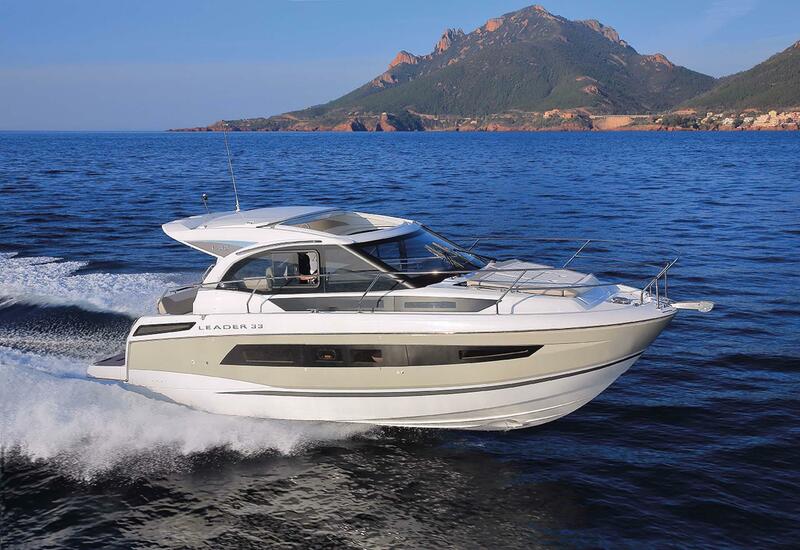  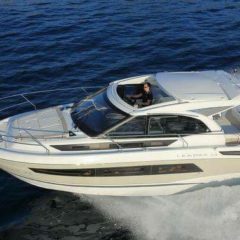 This motorboat is the perfect for a boat charter vacation in Ibiza and Formentera. 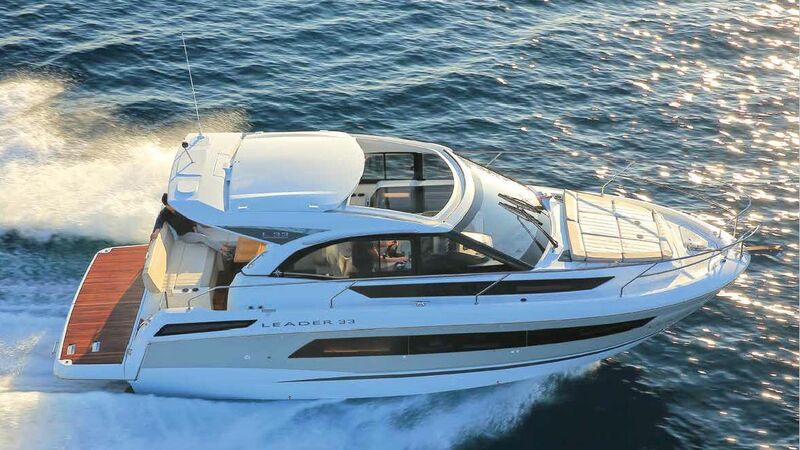 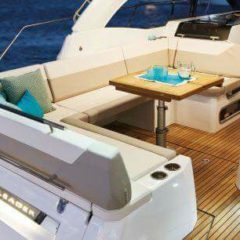 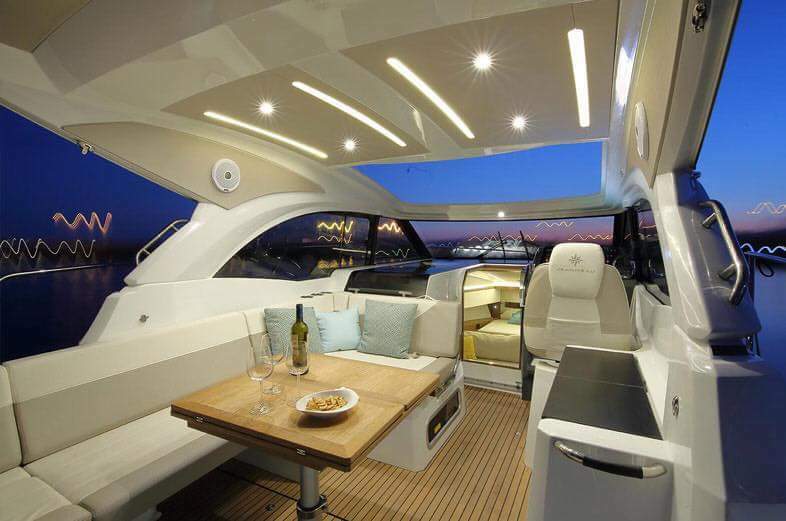 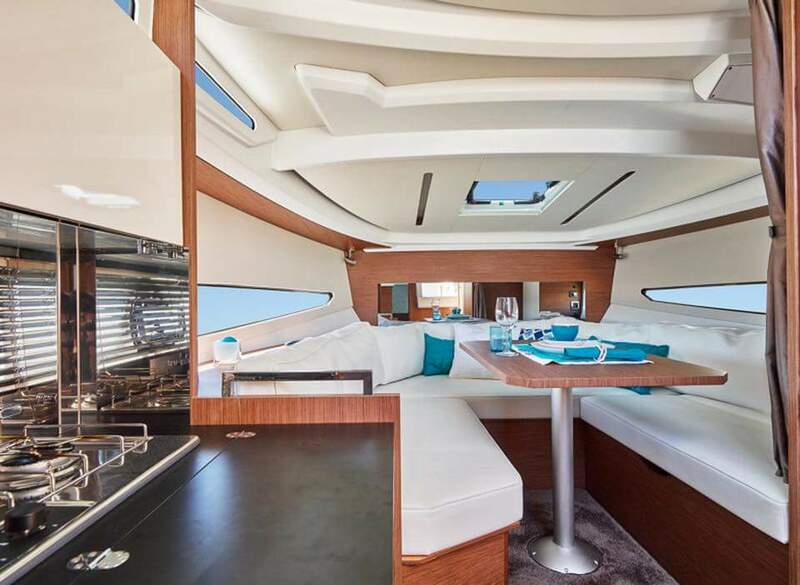 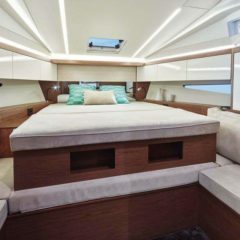 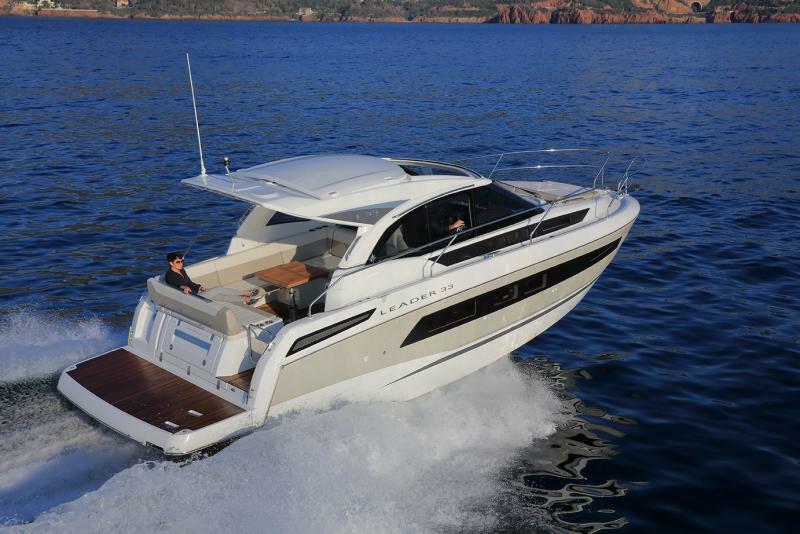 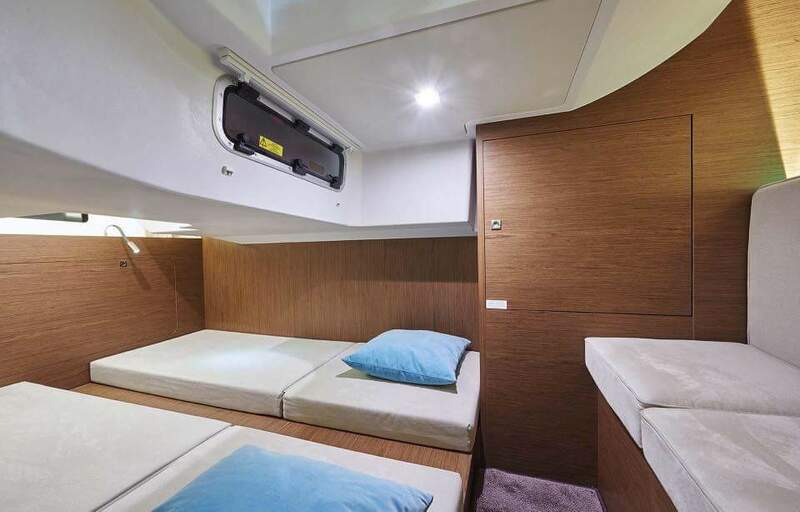 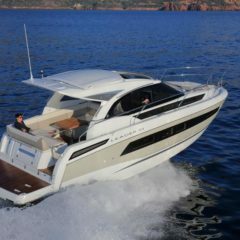 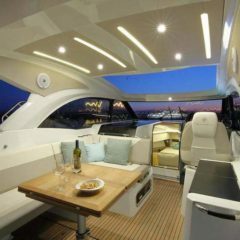 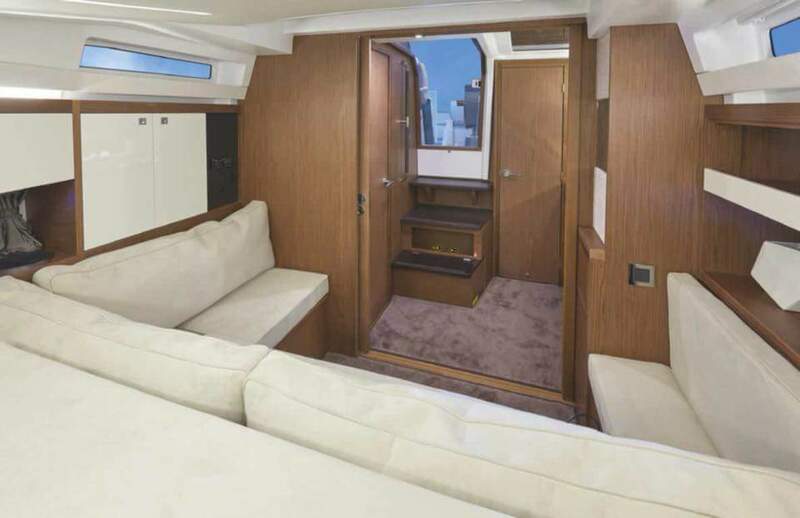 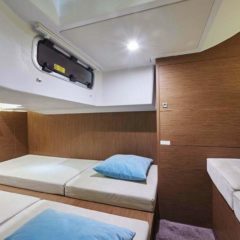 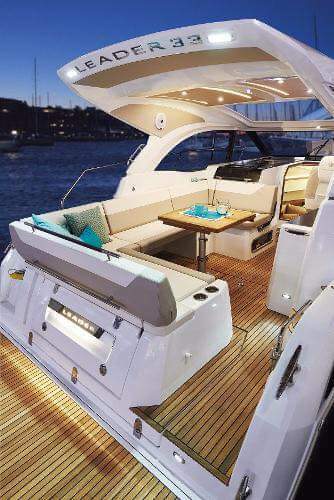 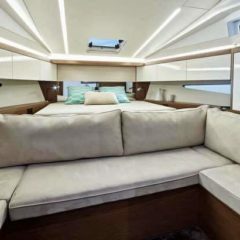 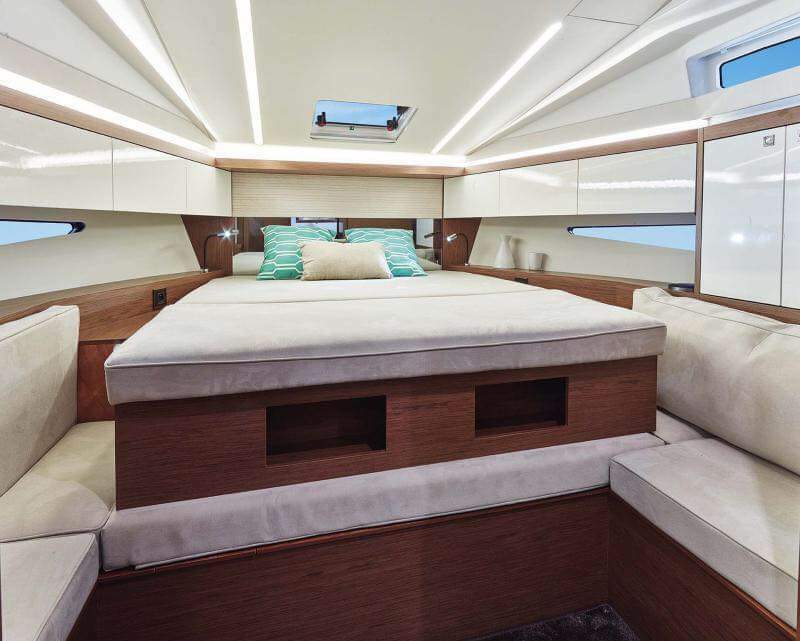 Our Jeanneau Leader 33 has a spacious cockpit, with a table and a solarium. 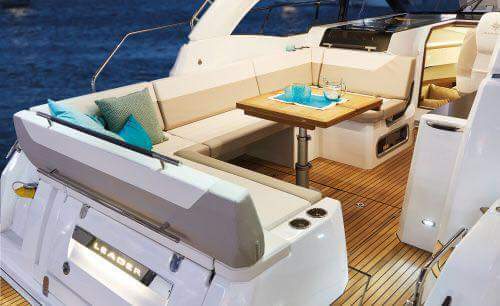 The day charter maximum is 10, including the skipper. 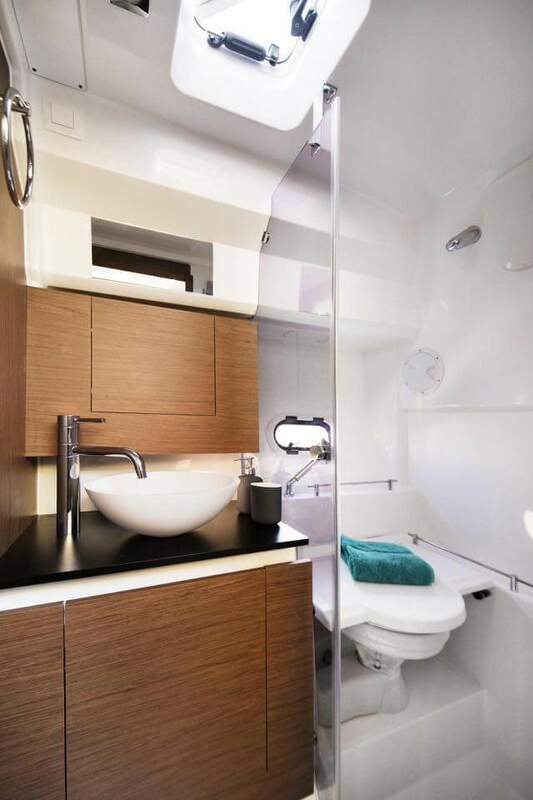 Overnight stays are not available, however you do have access to the WC and the fridge. 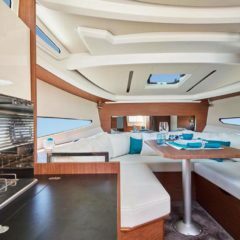 The cockpit is very comfortable even during navigation. 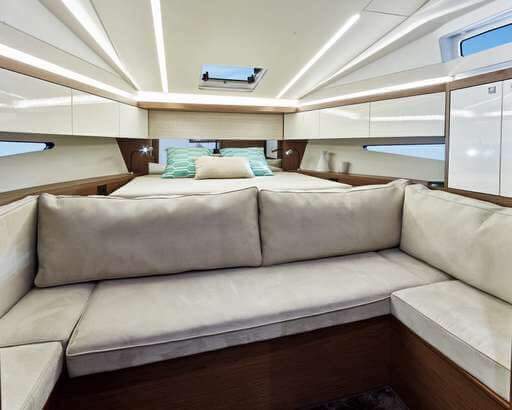 Custom made cushions cover all seats, and there is a great solarium in the bow where you can relax and sunbathe. 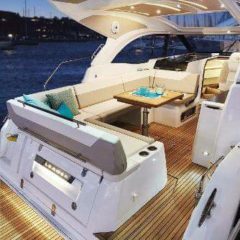 The hard top will give you cover from the sun, but it slides back if you want to let the sun in. 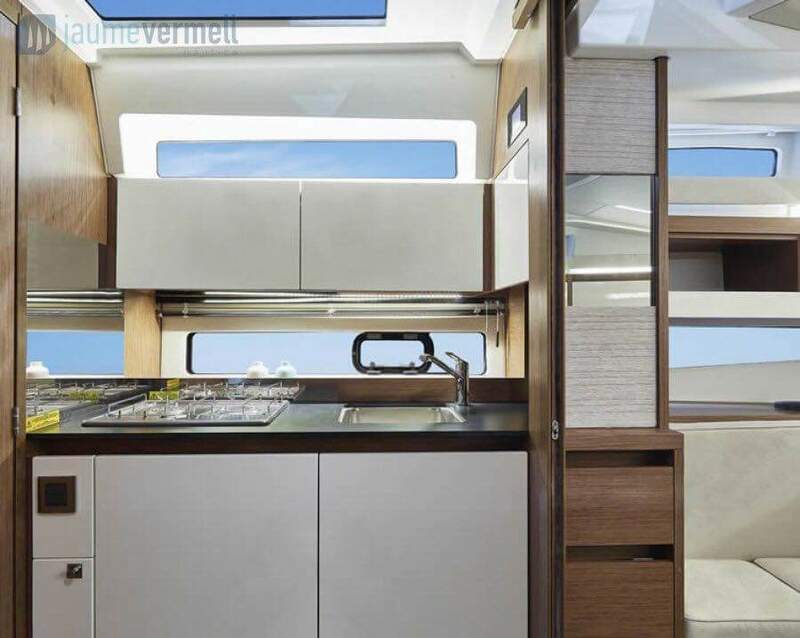 There is a small fridge and a sink, and kitchenware at your disposal. 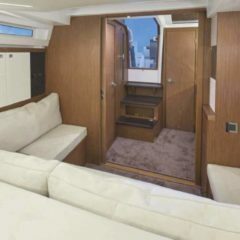 The stern features a comfortable ladder for swimming and a sweet water shower.